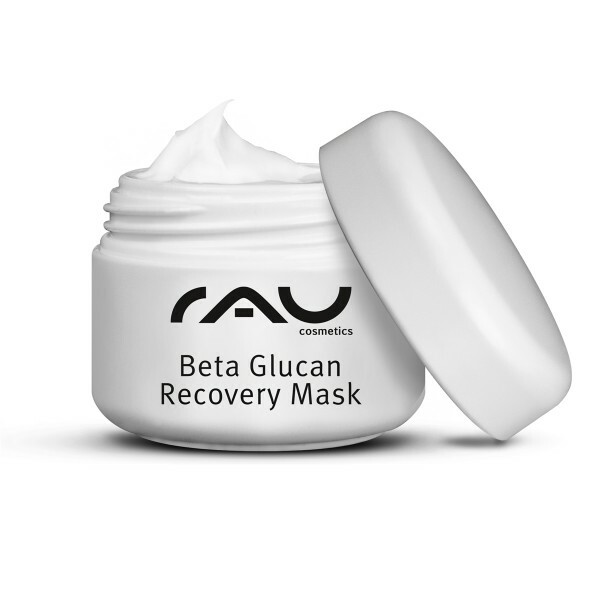 RAU Beta Glucan Recovery Mask is cream mask which was especially developed for calming sensitive, easily irritated skin. The mask is avaiblle in a hygenic airless dispenser and can just be applied like a normal face cream. We also offer a 5ml sample size, which is available in a small container. As sensitive skin should not be irritated, RAU Beta Glucan Recovery Mask is naturally completely free from harmful ingredients auch as perfum, colorants, parabens and PEGs. Of course, it does not contain mineral oils and silicone oils either. The acitve ingredient complex contained in this product was perfectly combined to fulfill the needs of sensitive skin. Thus, the skin can calm down faster and the complexion can visibly improve. Beta glucan helps the skin to help itself and supports it in strengthening as well as keeping up its natural protection layer. In addition to this, further regenerating and soothing active ingredients such as panthenol, lactic acid, squalane, macadamia as well as almond oil have calming, moisturizing and smoothening effect on the skin. Due to the combined effect of this carefully chosen ingredients, the skin can calm down and is finally able to "breath again", possibly leading to a remarkebly improved complexion and skin structure. Most of the times, this leads to less sensitive and irritable skin. We recommend applying and softly massaging in some of the mask to cleansed skin (facial cleansing) in the evening. Let it stay on for 10-20 minutes, afterwards just massage in any residues. As the mask can stay on the skin, you don´t need to apply any other cream after the treatment. 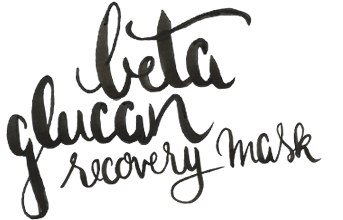 Related links to "RAU Beta Glucan Recovery Mask 5 ml"
Customer evaluation for "RAU Beta Glucan Recovery Mask 5 ml"